Would you like Zero Closing Costs on your next Mortgage? Zillow doesn't work here at Lake Martin for waterfront real estate. It is terribly inaccurate. Zillow doesn’t work here at Lake Martin for selling waterfront real estate. It is terribly inaccurate. I get reminded of this every now and then when I hold my nose and wade into their site. Today I was looking at a Zillow advertisement for a waterfront property on the Dadeville side of Lake Martin. The Zestimate was crazy wrong. But….. that goes without saying. Aren’t we all used to that by now? What caught my eye is some of the wacky supplemental info that Zillow tried to give for the home. 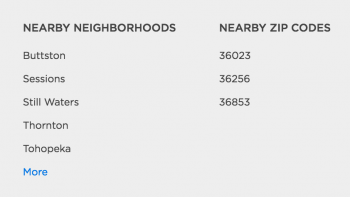 Dadeville’s zip is 36853, and Zillow thinks that the nearby zip codes of 36023 (East Tallassee) and 36256 (Daviston) are comparable to this property. Huh? Seriously? Here’s the reality- homes that are a half mile away from this one, but also in Dadeville, are NOT comparable, either. That’s because an off water home in Dadeville is not comparable to one that is waterfront on Lake Martin. The lot drives the value on Lake Martin. Common sense, right? Well, it seems the computer nerds at Zillow haven’t figured out how to program for that. 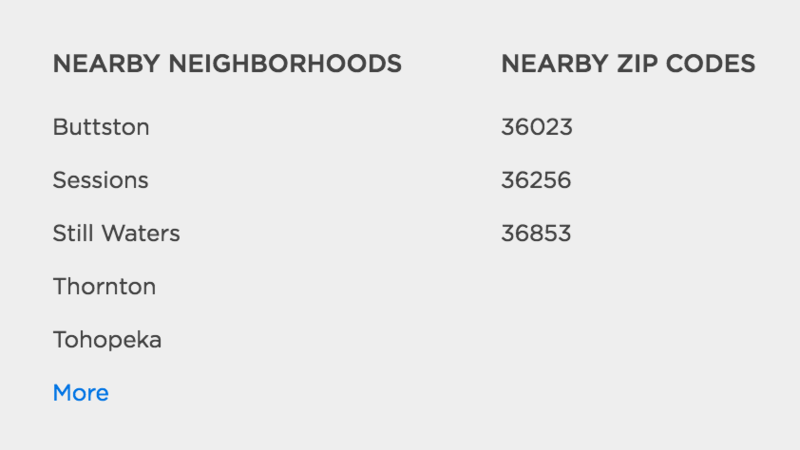 Also- check out the “nearby” neighborhoods. Hello? Only one of the five of those has any waterfront on Lake Martin. I have never heard of the other four. If you want the most accurate, up to date information on real estate here at Lake Martin, see the Lake Martin MLS. And, please contact me here and allow me to help you. 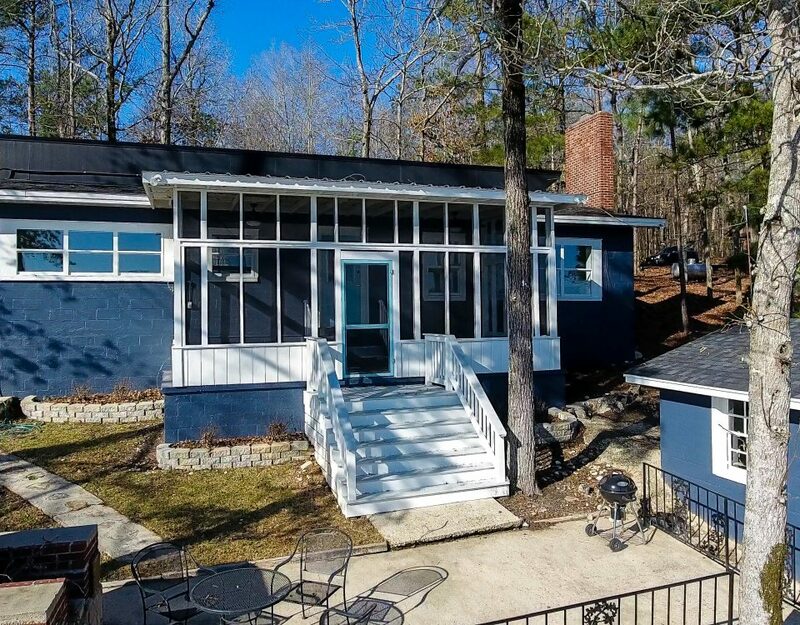 Why is Zillow so wrong here at Lake Martin? Many reasons. Among them is that the counties around Lake Martin do not report sales data to Zillow. Neither does our MLS. The result is that Zillow’s database is bloated with homes and lots, many of which are out of date, inaccurate, have sub-standard media, and are poorly described. This leads to buyer frustration (“What? This home’s listing was cancelled two years ago?”) and seller anger (“What? It says my house has 0 bathrooms!”). Then why is Zillow so popular nationally? Zillow is not in the real estate business. They are in the “sell ads to real estate agents” business. To be frank, they are good at scaring the poop out of real estate agents like me when they cold call us. The pitch is, “we are so awesome! Don’t you want to be The Featured Agent in your area?” I respond, “My area? You mean Sessions? Or Buttston? or Tohopeka? No thanks. I will keep my money and you keep that title.” Agents that do give money to Zillow soon find out that Zillow takes their money and uses it to advertise to – you guessed it – other agents, pressuring them to outbid the original agent for the (occasionally) coveted Featured Agent for the area. Will I ever advertise on Zillow? Who knows. I never say never. Maybe one day Zillow will get its act together for Lake Martin real estate. Maybe their SEO will start to beat mine. Maybe they will actually become a useful tool for home sellers and buyers here. When that happens, I will hop right on board. Occasionally I hear of a FSBO that uses the site with some success. Sometimes I will even recommend that FSBOs try Zillow out if they are so inclined, but right now it just doesn’t make sense for me. 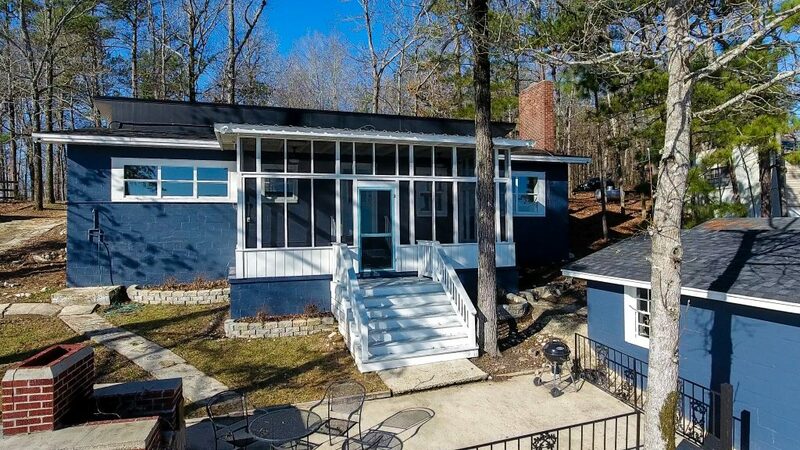 I am a full time, professional real estate agent with other, much more powerful marketing tools with which to help buyers and sellers here at Lake Martin.